$2.40 per invitation for ice white metallic paper. Minimum order quantity of 10. 4.25" x 5.5" Christmas card. 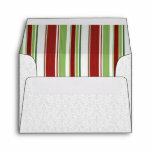 4.25" x 5.5" Christmas card. You can customize it to 8 different sizes. Note: Not all designs are proportionally suited to other invitation sizes.